Please take your awful weather back. I don’t want it. Thanks. Good god. It’s 20F (-6.6C) and windy out. It’s even too cold to enjoy smoking a cigarette outside. Argh! Yes, I think you are wimp. 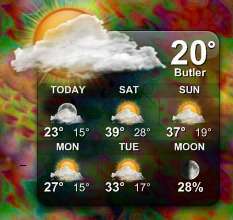 20 Degrees? Come on! By the way, it was at least 80 degrees and sunny everyday in Bangalore this past week. It was 2F to -25F in South West Michigan last week… The first winter we have had in a decade.. It finally feels like home again. I feel bad for my European friends.. it’s barely snowed there.. again. Poor Norwegians.